People in the LGBTQIA+ community are valid and loved. Let's show them that. On February 26, 2019, the United Methodist Church voted to go with the Traditional Plan that doesn't allow for gay marriage or people in the LGBTQIA+ community to become ordained. This has invalidated a lot of people in the LGBTQIA+ community and upset the majority of American Methodists who voted for the One Church Plan instead, in which each church could decide if they wanted to allow for this or not. During this time, it's imperative that we show our support for the LGBTQIA+ community, as they are just as loved in God's eyes and in (hopefully) all of our own. Here are 5 easy ways to start. 1. 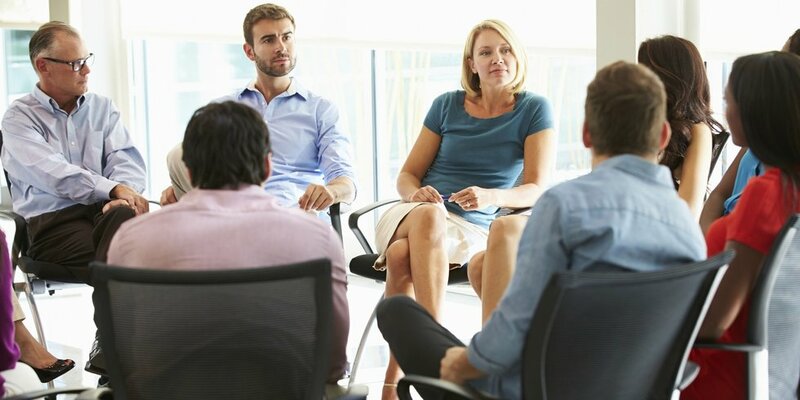 Attend a Safe Zone training or comparable training. Safe Zone trainings teach people how to be visible allies to those in the LGBTQIA+ community; you can learn more and sign up here. The Trevor Project also offers training, about which you can learn more here. 2. Educate yourself on resources and gender-neutral bathroom locations. 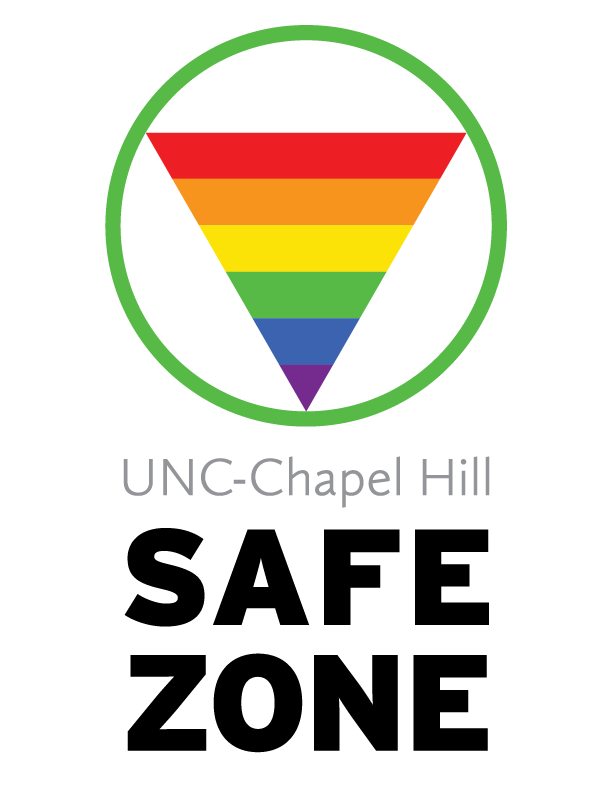 UNC-Chapel Hill's LGBTQ Center is located on south campus and provides various resources, which can be found on their website here. 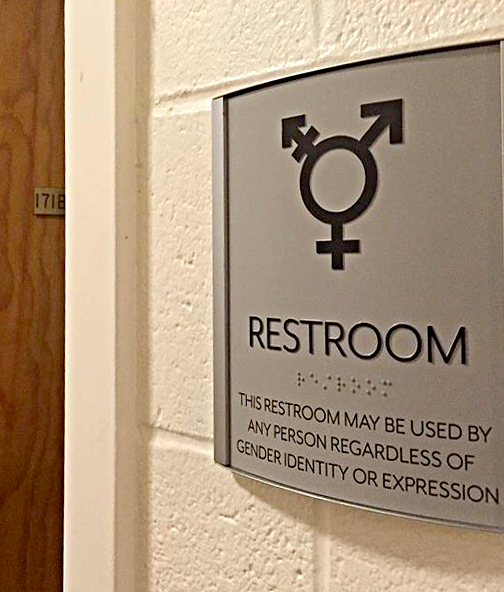 Gender-neutral bathroom locations on UNC-Chapel Hill's campus can be found here. General resources can be found here and resources for youth from the Trevor Project are here. 3. Reach out to someone in the LGBTQIA+ community to check on them and ask what they'd like you to know. Acknowledge your privilege, if you have it, be affirming of the person's sexuality or gender and experience, be empathetic rather than sympathetic, and ask how you can help. Buzzfeed also provides some helpful videos that break stereotypes, make important points, and assist understanding. 4. 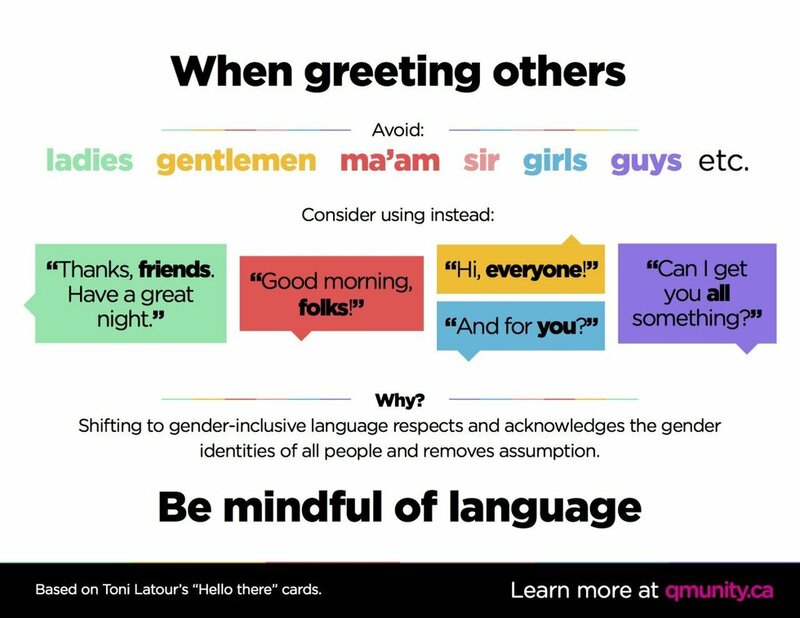 Be inclusive in your language. Ask someone's pronouns without assuming. Say "everyone" or "y'all" instead of "guys" or "us ladies." 5. Call people in (not out). Calling people out can be aggressive and make the other person become defensive. It's more effective to call someone in and calmly educate them without acting superior. Some great times to call people in: when someone uses the wrong pronoun for another person, when someone uses the word "gay" in a derogatory way, and when someone says that God doesn't love people who are LGBTQIA+. LGBTQIA+ rights are a human rights issue and it is our job to love them and treat them with respect. This is an especially hard time for those in the community, so I encourage us all to think about how we're treating people and how we can be effective and compassionate allies, regardless of who we are. It's more than just a show about five gay guys, it's fabulous, it's gorgeous, it's fun, it's enlightening and it's uplifting. You may think that Queer Eye is just a reboot show that portrays gays and how they use their sense of style to help out fashion challenged straight men. 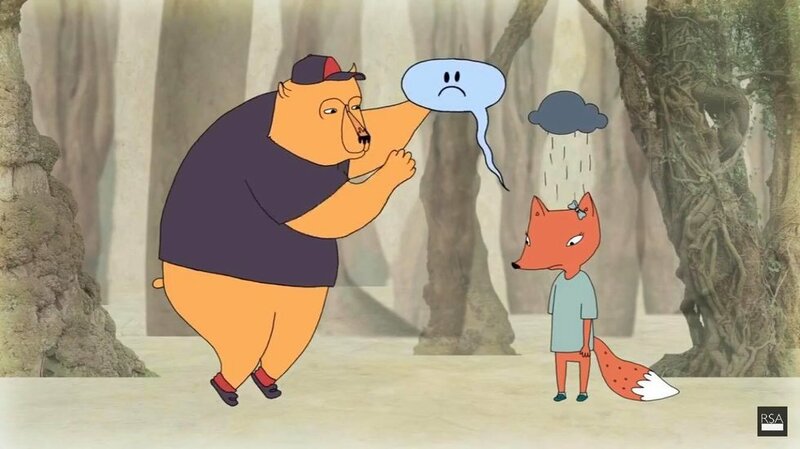 But this show is so much more, there is a modern aspect to it that portrays how important is it to address the issues of self-acceptance, stereotyping and mental health. These issues that are addressed in the show are not just targeted to straight men, there are also episodes that target to a broader audience. In fact, each one of us. With these portrayals in mind, it really shows the type of culture that shapes us and how people can change their perspective this live a happier life. While I was watching the show, what really caught my attention was how it made me think about my life and how personal it felt to me. The main themes in this show are how people should love themselves and how that love spreads to others. This acceptance of yourself is shown through fashion, grooming, culture, food, and home design. Each of the hosts gives advice on how the person should appear to others through their fashion sense, grooming, and their attitude. In fact, self-love is shown through everything that you do. It is inspirational to see these men help people from different backgrounds and give them advice so gracefully. After watching one episode, you feel obligated to check yourself in the mirror and see how others may perceive you. It also can awaken your creative side and get you out the door to change your lifestyle, conquer your fears or finish a project you started. Another characteristic of the show that caught my attention was how the five gay men, Bobby, Karamo, Antoni, Johnathan and Tan, (also know as the Fab Five) always have friendly, open and positive attitudes. Their genuine want to care for each of the heroes is inspiring. My deepest hope is that I can keep on feeling inspired by these people, and you should be, too. If you haven't hopped on the bandwagon of "Queer Eye," you should be purchasing your ticket as soon as possible.